And we've got experts that know the finance environment standing by to review your resume and give you the boost you need to snare the financial position you deserve. 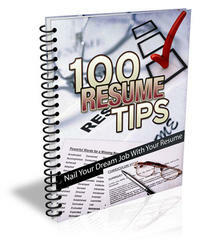 Finance Resume Writing and Resume Reviews Have your resume reviewed by a practicing finance professional. For resume writing, start with an e-mailed history and 1- to 2-hour phone discussion. Our experts will write a first draft, and deliver a final draft after feedback and discussion. For resume reviews, get an in-depth, detailed critique and rewrite within TWO BUSINESS DAYS. Having an experienced pair of eyes looking at the resume made more of a difference than I thought.